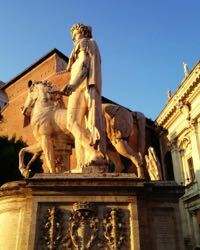 Guided tours in Rome and beyond. We provide fun and engaging private tours in a city that has fascinated travelers for thousands of years. Choose from our tour ideas or tell us what you'd like, and we'll create a custom tour just for you! With Rome Illuminated, you already have a friend in Rome. Our tours showcase each aspect of the city in an unforgettable way. This isn't your typical guided tour. Each excursion is enlivened with fun facts, amazing ideas, and memorable stories. We focus on the hidden sides of the highlights we love and on an ever-changing selection of hidden gems and last-minute opportunities. Whether you choose from our pre-planned tours or concoct a custom-tailored outing, we know you're here to have fun and we promise to turn your visit into an extraordinary experience! 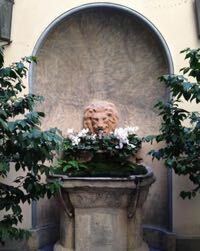 *We now offer similar services in Florence and around Tuscany as well as in Naples and Pompeii. Comfortable car services are available during tours and for transport from airports, cruises, and between cities. Just ask us!